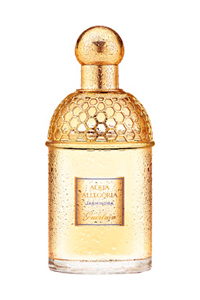 GUERLAIN is launching the new Aqua Allegoria Jasminora fragrance nationwide from 5 June. The new edition of the Aqua Allegoria, which first launched back in 1999, contains top notes of Calabrian jasmine and white flowers, followed by cyclamen, lily-of-the-valley, bergamot and galbanium. The final notes of the new scent are composed of amber and white musk. The new Aqua Allegoria Jasminora will be available at Guerlain stockists including Debenhams, Harrods and House of Fraser priced at £35.50 for 75ml.